Each KisStartup’s service has to go through a series of piloting and testing. 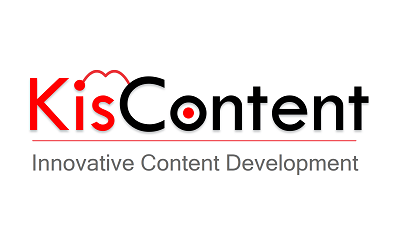 When we work with startups and mature companies, we realized that content serves not only marketing but also market validation and market entry. Customer flow or user experience has changed a lot. Each company needs to turn this change into chance. It’s when creative content gets in to help company grasp market demands and participate in the game in a new way. Content development for market validation and market entry and channels management are likely to become a winning service. KisStartup always develops services supporting startups and enterprises in innovating and finding an effective way to reach possible customers. It is evitable that now business increasingly depends on the Internet while content is a king. 81% of buyers find information about products on the internet before they buy it. 60% of people use search engines before they decide to buy. Either B2B-model company or B2C-model one, content development is a need to attract, build trust and solid relationship with customers. • Impress customers with stories delivered via different channels. • Develop a strong relationship with customers through your content if the market test succeeds. • Figure out new direction if the former one results in nothing. Startups at the stage of market test and entry. Together with customers, we create content based on materials from your company and target market segment. We acknowledge that collecting existing content from different sources is only useful in the short run. However, in a long run, it doesn’t help you to create sustainable core values. We will work with you to turn your information asset and database into your new stories, instead of approaching shortly and quickly.